About 110 km from Hanoi, Cua Tu stream is located in Hoang Nong commune, Dai Tu, Thai Nguyen. It is a place for adventure, exploration and conquest. Cua Tu (literally translated as the Death Gate), the name which makes people shiver when they hear it for the first time is actually a new place and is attractive to many visitors to explore. 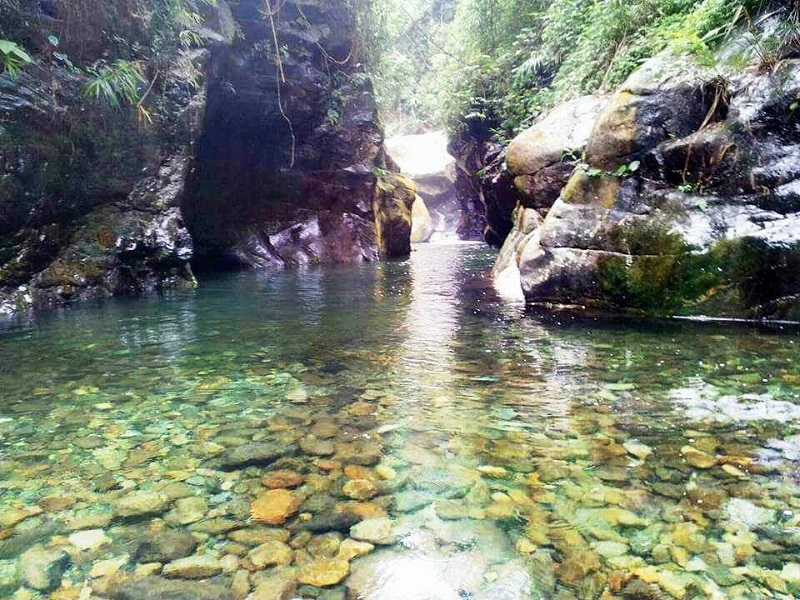 Located on the east side of Tam Dao – Cua Tu range, Cua Tu stream is in Hoang Nong commune, Dai Tu district, Thai Nguyen. The name of Cua Tu comes from a long time ago and is associated with the love story of a couple of a boy and a girl. They loved each other but their love was forbidden by their parents due to feudalism prejudices. Finally, they both listened to the call of the heart, and went together to go up the stream of Cai spring, climbed over the rocks with a variety of shapes to swear to live and die together, to build happiness in the wilderness despite the warning of people “ If you live there, you will certainly die …”. Since then, this stream has been called Cu Tu. Cua Tu is located about 45 km from the center of Thai Nguyen city, in Hoang Nong commune, Dai Tu district. The commune is located in the western part of the district and in Tam Dao Mountain, adjacent to the highest peak of this mountain range (1,590 m). This is also the confluence commune between the three provinces of Thai Nguyen, Vinh Phuc and Tuyen Quang. A stream flows from the Tam Dao Range, along the length of the commune and into the Cong River, the stream is called Cua Tu. Hoang Nong commune has relatively complex terrain with steep mountain slopes. Alternating between hills and ridges are narrow strips of plain with vegetable fields and beautiful terraced fields in the center of the commune, along with a system of ponds, lakes and water retaining dams scattered throughout the hamlets. Cua Tu is actually a stretching stream, attracting young people to explore by the wild, erratic stream. Local people living near the stream say that it is called Cua Tu because there is only one road up and down. The stream is highly erratic depend on the rain, so few people can completely explore the stream. Lying between the high mountains, the stream is like a snake bending itself. 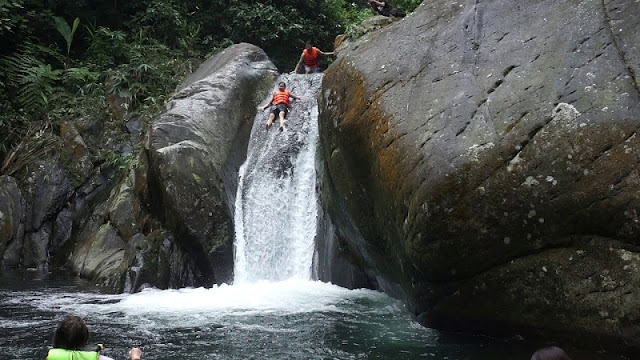 Perhaps the most intriguing feeling that adventurous travelers get here is to overcome the slippery slopes and the bridge crossing the flowing falls. The water in Cua Tu is so clear that it is visible to the bottom. In the heat of the summer, soaking in cool water here will help you recover from a long journey of discovery. Due to the treachery of Cua Tu, to this day, the place still retains rustic and untouched beauty. After a long walk about 3 km upstream to the top of the mountain, a large waterfall appears. Cool water from the waterfall makes you feel more excited. Coming here, you can sit on the high plate to admire the majestic, wild landscape. The mysterious beauty of the stream makes it a promising tourist destination for young people to explore and enjoy the natural beauty of the forest, as well as a cool place for hot summer days in the North. 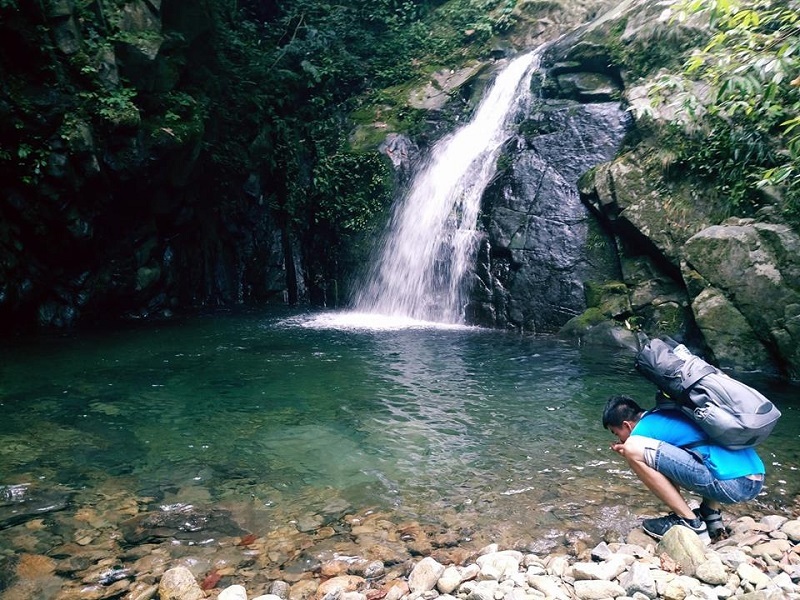 In case you desire to visit Hanoi, Sapa and Ha Long Bay in the Northern of Vietnam but still have time, you can go trekking to Cua Tu Waterfall - a natural, adventurous, thrilling stream in Thai Nguyen province. Who dare to try?